Could the U.S. Supreme Court Change the Way You Shop Online? A pril 17 was not only the end of tax season but also the day the Supreme Court heard South Dakota vs. Wayfair, Inc. This case will likely affect every business, no matter size or revenue. This case spotlights the collection and remittance of sales tax, specifically whether the responsibility should lie with the state or the business. Sales tax is considered a consummation or a value-added tax and is typically assessed to the end purchaser or user of a product. Most businesses are responsible for collecting and remitting these taxes. However, with any tax law, there are exemptions. One of these exemptions comes from a previous Supreme Court Case from 1992 – Quill v. North Dakota. In this case, the Supreme Court ruled businesses only had to collect sales tax in states where they had a physical presence. Therefore, an out-of-state business whose only contact with a state was the sale of tangible personal property, did not need to collect and remit sales tax. If the sales tax wasn’t collected by the business the burden to remit to the State was then transferred to the resident of the State. Basically, if you don’t pay sales tax on a taxable purchase, YOU are now required to pay the tax on your individual tax return. And this is where the issue lies. States governments argue the cost to enforce collections from an individual greatly outweigh any unpaid tax. As a result, state officials are pushing for the responsibility to lie with the business. Last year, South Dakota took action with the following economic threshold law: if your business has $100,000 in gross sales or over 200 varying transactions to consumers located within the state, then your business must collect and remit tax – no exceptions. This brings us to South Dakota vs. Wayfair, Inc.
South Dakota wants to overturn the 1992 Quill ruling arguing the development of the internet and e-commerce establishes the physical presence of a business as outlined in Quill, therefore making businesses responsible for the tax collection. 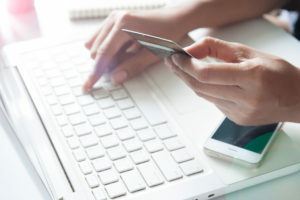 In addition, state officials maintained if an online business is doing substantial trade within their borders, then bricks-and-mortar businesses are at a disadvantage as consumers may opt to purchase a product online without paying sales tax. Conversely, Wayfair argues the complexities of such transactions are too much for smaller businesses to overcome. Under current law, 45 states and thousands of local jurisdictions assess sales tax. Additionally, each state has varying laws on what is a taxable transaction and was is not. Lastly, Wayfair has contended any internet sales are at a disadvantage due to shipping and handling charges. All eyes are now on the Supreme Court, who is set to rule by the end of this month on the “tax case of the millenium”. Stay tuned to see how this may impact you. The recipient of a gift need not worry about the tax consequences; receipts of gifts are non-taxable events. However, that is not always the case for the giver. 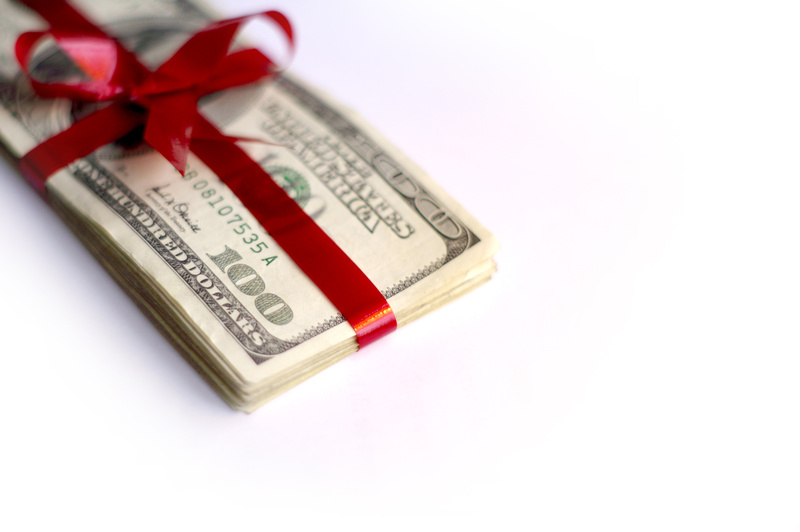 Every year the IRS allows for the tax-free transfer of a specified amount of monetary gifts. For 2017 this amount stands at $14,000 per person, per year. Amounts given to any one individual, by any one individual, during a tax yearbring about no consequences as long as they are at or below $14,000. For example, a husband and wife can each give $14,000 in cash ($28,000 total) to each of their grand-kids every year, with no resulting tax or return filing consequences. Gifts in excess of this annual exclusion can also be tax-free; however, these gifts are required to be reported against the givers lifetime gift and estate exemption. The total lifetime exemption for 2017 stands at $5.49 million per individual. Gifts made during the year in excess of the annual exclusion ($14,000) require the giver to file a gift tax return. This return discloses the excess gifts given annually as well as tracking their lifetime excess/remaining exclusion. Typically annual gift returns come with no tax due; however, these returns reduce the tax-free amount allowed upon death and could have potential tax consequences down the road. Bottom line? If you have a large estate and make any large gifts during the year, consult your tax advisor. We may be able to offer advice on how to better structure these transactions. When moving around your retirement savings, it is always best to have a plan. There are several options available to you when changing a job or just changing your retirement plan. Lump sum withdraws from your 401(k) from your old employer. Generally, this option is not advisable unless, in dire need of cash, as it can considerably reduce your retirement savings. Also, this could end up boosting you up into a higher tax bracket. Either way, you’ll end up paying more taxes. Leave the money in your old employer’s 401(k) plan. Generally, once you reach retirement age, your former employer may require you to withdraw the balance. The balance may also be left in the old plan temporarily while you look into new plans and find the right one for you. Unfortunately this not always an option. If your vested balance is $5,000 or less, your old employer may require you to take it out upon leaving the company. You can choose to have your balance transferred directly to your new plan, if allowed, through your financial institution. This is generally the best decision as the savings go on without any disruption or withholdings. Another option, within the transfer option, is to have a check made out to you for the amount and then to deposit the check into your new employer’s plan or an alternate IRA. When using this option, you should be aware of the implications that come along with it, primarily the 60 day window that you must transfer the deposit within. Not doing so can have hefty tax consequences. The full amount will be taxable and if you are under the age of 59 and a half then you will be subject to a 10% penalty. Generally, taxpayers do not knowingly miss the 60 day window and have unwillingly faced financial burdens as a result. Because of this the IRS has cut taxpayers a break and provided a set of rules designed to offer relief from penalties. 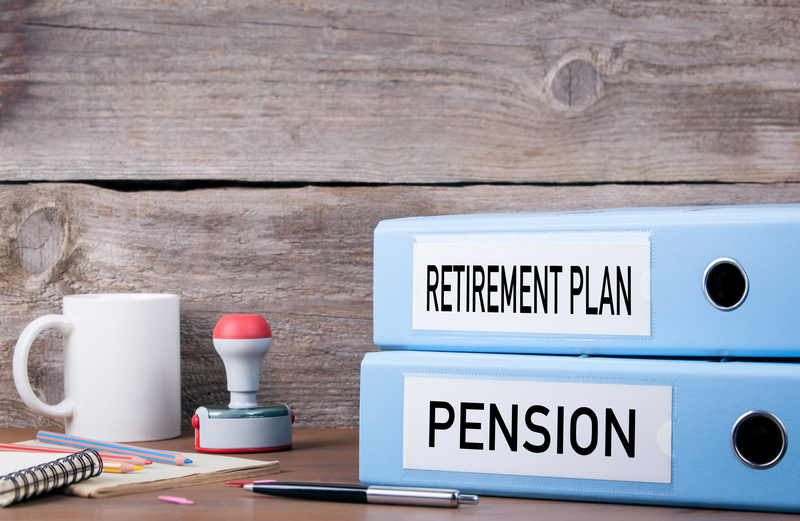 Myriad options exist when rolling your retirement plan assets, including utilizing these new rules in the event an inadvertent violation of the 60-day rollover provision occurs. Contact your William Vaughan Company advisor for more information and to discuss these rules in depth. 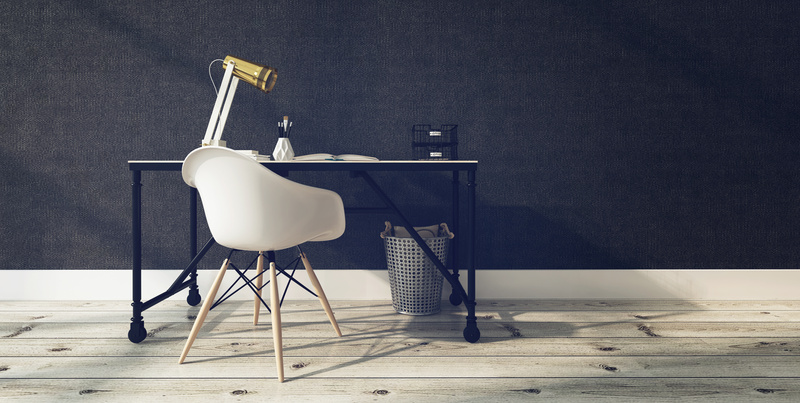 Do you have a room in your home that you use just for your business? If so, you could claim a deduction on your tax return for your home office. Before we get ahead of ourselves, we should acknowledge that you will have to meet certain requirements. However, most are able to deduct a percentage of the costs of running the home such as utilities, rent, insurance, depreciation, mortgage interest, real estate taxes, some casualty losses, repairs, and improvements as related to the portion of your home used for business. You must regularly use part of your home exclusively for a trade or business. You must be able to show that you use your home as your principal place of business meaning you meet patients, clients, or customers at your home or you use a separate structure on your property exclusively for business purposes. The IRS doesn’t offer a clear definition of regular use – only that you must use a part of your home for business on a continuing basis, not just for occasional or incidental business. You should qualify by working a couple days a week for a few hours. Exclusive means that you must use a portion of your home only for your business. If you use a portion of your home for work but also for personal use then you will not meet that requirement. However, you are able to use a portion of a larger room as long as your personal activities do not enter that area. There are two exceptions to the exclusive use rule. If you run a qualified daycare out of your home or store inventory or product samples then you do not have to meet the exclusive use test. If you are storing inventory or samples in your home, you can still qualify for the home business expense even if you are not using that space exclusive for your business.The inventory will need to be stored in a certain location such as the garage, a closet, or bedroom. However, you will not get the deduction if you have an office or business location outside of your home. Remember you can only claim this deduction if you are running a business. If the IRS believes it’s a hobby the deduction will not be honored. Are you counting on your practice sale to fund your retirement? If so, you may need a backup plan. Typically, after taxes and closing expenses, the profit from selling your practice is roughly equivalent to what you would take home from the practice after working an additional 1.5 – 2 years. 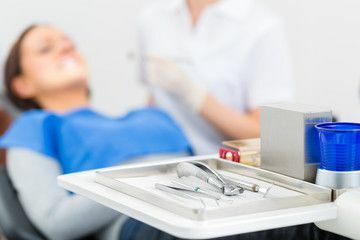 As a result, many dentists fail to plan their finances for retirement.If you are considering retirement in the next ten to fifteen years, now is the time to start planning. To start, ask yourself: How much will it cost to live once I retire? If you can’t answer that question, it is time to start calculating. Use your credit card statements and check register. You will need to include taxes, health insurance, medications, mortgage, travel, gas, insurance, repairs, maintenance, phone, clothes, gifts, entertainment, hobbies, food, utilities, and cable. Then, determine a monthly and annual cost of living. Now is the time to get totally out of debt. Banks place liens on your practice when you borrow money or open a business line of credit. If you have borrowed money, the debt will have to be paid off before, or at the sale of your practice. What investments and other assets do you own? Do you own stocks, bonds, fixed assets, cash, or money market accounts? How much income will these assets provide after retirement — and is it enough? Currently, social security is still viable, but will likely only fund a small portion of your retirement needs. Determine whether your future total income from investments, social security, disability insurance, and any other sources will be enough to cover your future budget. If not, then you will either need to reduce your current and future standard of living, or lengthen your timeline for retirement. The most common solution dentists see as the answer to retirement income is to sell their practice. If that’s your plan, you should probably be looking at other options to supplement your retirement. If you haven’t started planning yet, now is the time.